Stag Party | Stag Weekends | Our Valued Customers. Welcome to Stagit.ie, Ireland’s answer to every stag party. 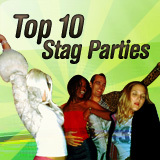 Stagit.ie is dedicated to providing quality information and goods on all aspects of stag parties in Ireland. We pride ourselves in our work and take up most priority to our customers satisfaction. Through this website we will give you information on all the best activities for your daytime leisure and night time madness, bundle this together with with the most exciting location’s in Ireland and you are guaranteed a party not to be forgotten. Please feel free to browse our website, we provide everything you need for your weekend. If you have something in mind which we don’t provide, drop us an e-mail and we will see what we can arrange for you.